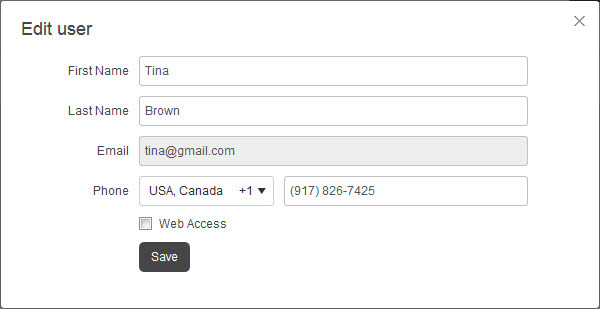 On the Users page, point to the user that you want to modify, and then click the Edit icon in the Action column. In the Edit User dialog box, make the appropriate changes, for example, click to clear the Web Access check box, and then click Save. Note You cannot change user email address.